Learn how to weave a tapestry with all natural and recycled textiles! Create the perfect wall accessory using simple weaving techniques and naturally dyed threads and scraps of fabric for added texture. 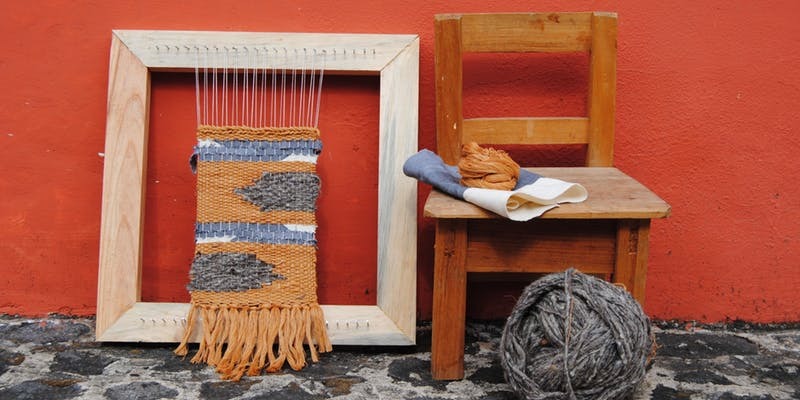 Guests will learn how to set up a tapestry loom and the basics of weaving a tapestry, using naturally dyed cotton and wool threads as well as handwoven scraps, all sourced ethically from Guatemala. You will leave with a better understanding of weaving and the wood-frame loom. With this knowledge and equipment, you can create more weavings in the future. Averie Floyd is a textile nerd from Denver, Colorado and the co-founder of Casa Flor Designs, an ethical fashion brand headquartered in Antigua, Guatemala. From beginning sketches to final garment- Averie's attention to detail has made her into the entrepreneur she is today. Similar to the heart of her business, she believes that to create, is to heal and she loves sharing her passion for creating with everyone around her.